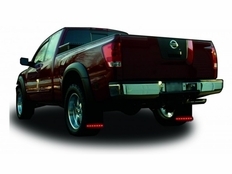 Plasmaglow LED Mud Flap Lighting Kit (Including Mud Flaps): These LED Mud Flap w/ Integrated LED Lights easily affix to any truck, keeping mud in check while also giving you a unique lighting solution. 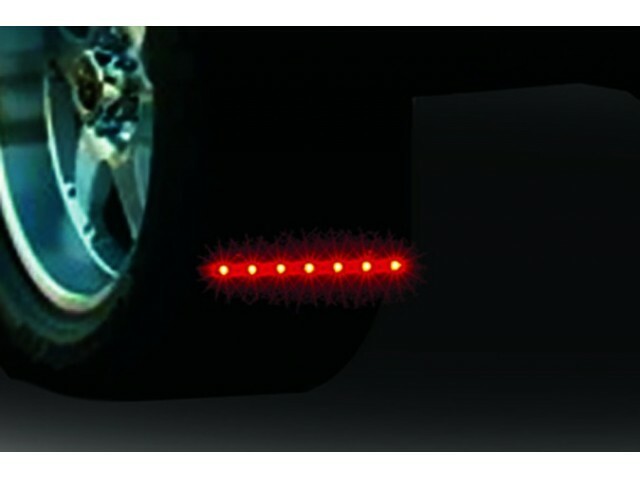 Red Brake lights, White Back-Up lights & Red Turn signals all in one. Plugs into existing Trailer Hitch Plug or can be hard wired if you prefer. Increase safety and style! The lifetime warranty means you'll enjoy them for as long as you own your truck or SUV. 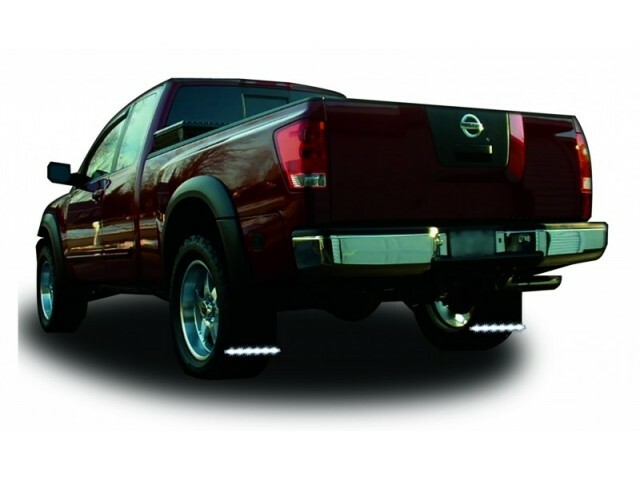 Price is for a pair (one left and one right) of mud flaps with integrated LED lighting.